What should the government of the United States do if other countries impose tariffs on U.S. goods exported to their countries? What should the government of the United States do if a country subsidizes its exports to the United States? What should the government of the United States do if it had no tariffs on foreign imports but other countries imposed tariffs on U.S. exports? Trade myths die hard. Here are three of them I want to refute based on the comments and questions I recently received. To the contrary, trade almost never takes place between countries. Although people often talk about the United States trading with China, India, or Canada, foreign trade really just occurs when entities in one country engage in commerce with entities in some other country. No county offers to exchange 1,000 bushels of apples for another country’s 1,000 bushels of tomatoes. No country buys up 5,000 tubes of toothpaste from domestic manufacturers and offers to sell them to the government of, or a business, organization, or individual in, another country for cash. Trade takes place between individuals, organizations, and businesses in countries, not between countries themselves. An individual, organization, or business in one country may sell a product to the government of another country, but that doesn’t mean that trade is between countries. The rare case of one country trading with another would be like the U.S. government selling an old Navy ship to the government of another country. Subsidized exports justify protective tariffs. Some countries, for a variety of reasons, subsidize certain of their export industries. This means that a country’s government uses tax money taken from its citizens to subsidize the manufacture of some products offered for sale to individuals, organizations, and businesses in other countries. Such subsidies make the economy less efficient, substitute the judgment of government bureaucrats for that of private actors in the marketplace, encourage overproduction, favor the few at the expense of the many, shifts production among sectors within the economy rather than adding to the overall level of economic activity, and reduce total national welfare. But if a country’s government robs its citizens to subsidize certain industries and distort its economy, then why should the U.S. government also punish American citizens by imposing tariffs on imports that are subsidized? It is none of our concern how or why a foreign good is offered for a certain price. The economic loss of those in other countries is our gain through no fault of our own. And the same is true when it comes to “dumping.” Americas benefit by being able to buy low-cost foreign goods, and the lower the cost the better. It should also be pointed out that the U.S. government subsidies certain sectors of the economy like agriculture. 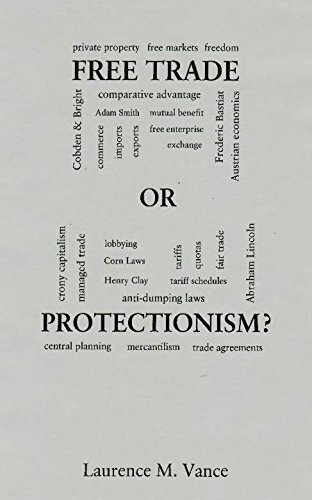 If the United States should impose protective tariffs on imported goods that have been subsidized, then, to be consistent, other countries should likewise impose protective tariffs on goods imported from the United States. Retaliatory tariffs are sometimes needed. 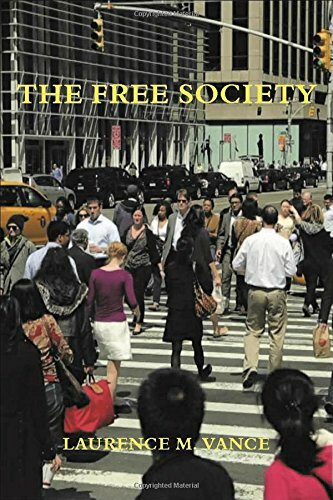 Free Trade or Protecti... Laurence M. Vance Buy New $4.32 (as of 07:35 EDT - Details) If another country imposes a new or higher tariff on certain goods exported from the United States, then we should retaliate by imposing a new or higher tariff on certain goods imported into the United States. Right? If other countries protect their favored manufacturers by levying a tariff upon the like articles imported from the United States, then we should retaliate by likewise protecting our favorite manufactures in the same way. Right? Of course not. To advocate for such practices is to be ignorant of the effects of tariffs. When an importer in the United States has to pay a tariff to the U.S. government on goods he imports, it raises his costs of doing business. He can then either lower his profits by charging Americans the pre-tariff price for his goods, pass all of his increased costs on to American consumers via higher prices, or lose some of his profits and pass some of his increased costs on to American consumers. Any way you slice it, it is Americans who lose. Tariffs steal from businesses and entrepreneurs’ profits. Tariffs force consumers to pay more for imported goods. But a retaliatory tariff adds insult to injury. American exporters suffer when they have to pay a tariff to a foreign government. And American importers suffer when they have to pay a tariff to the U.S. government. If someone harms you, do you retaliate by further harming yourself? It is immoral for domestic industries to demand that the U.S. government inflict the same unjust depravations upon their fellow citizens that foreign governments inflict upon theirs.